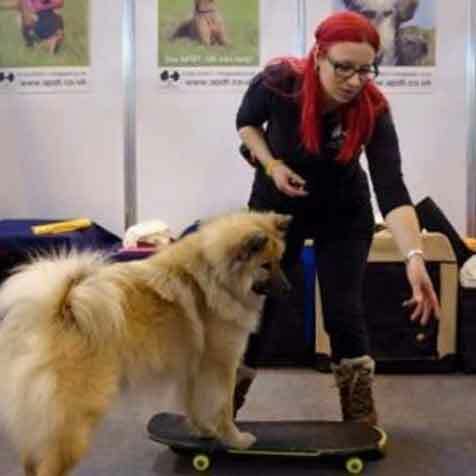 Louise Bater is a fully assessed and accredited member of the Association of Pet Dog Trainers, UK with many years experience of reward based dog training and instructing. Lou owns three dogs (a Springer X Lab, a Border Collie and a Eurasier). She has trained and competed in Flyball, Canicross and Agility and has been teaching agility for a number of years. Lou runs Happiest Hounds Dog Training based in Harlow and East Hertfordshire teaching Puppy Life Skills Classes as well as adult dog training and foundation agility classes. She teaches Puppy and Beginner Life Skills, as well as Activities classes and agility foundations here at Developing Dogs.